No charges will be filed against a man who shot and killed an 43-year-old Joshua Kersey early Tuesday morning, according to Lt. Col. Brian Steffen. Police say Kersey and a pair of accomplices broke into the man's home and threatened its occupants at gunpoint. 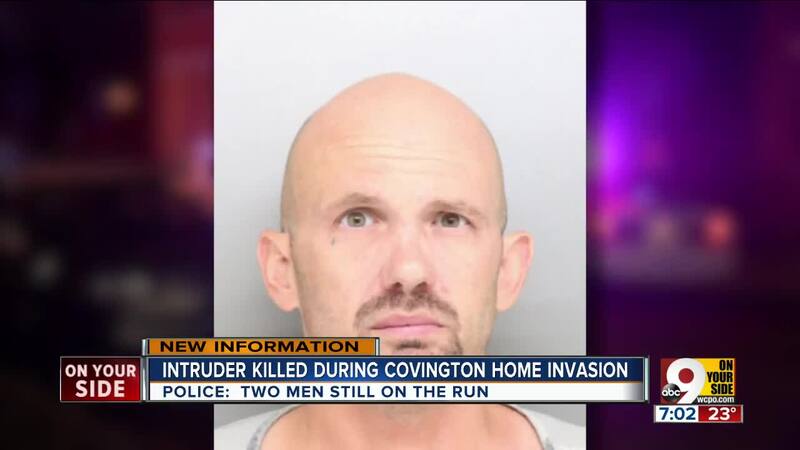 COVINGTON, Ky. -- No charges will be filed against a man who shot and killed an armed intruder inside his home early Tuesday morning, according to Lt. Col. Brian Steffen. Joshua Kersey, 43, of Cincinnati, and two others were armed with guns and dressed in dark clothing and ski masks when they unlawfully entered the West 7th Street home at about 1:34 a.m., police said in a news release. The intruders threatened two residents and demanded to know the location of another person who hadn't lived there for several years. Hearing the commotion, another resident retrieved his own handgun from an upstairs bedroom and shot Kersey in the chest as Kersey was advancing toward the bedroom, police said. First responders transported Kersey to the University of Cincinnati Medical Center, where he was later pronounced dead. The two other suspects fled and remain at large. They have not been identified. Kenton County Commonwealth's Attorney Rob Sanders said the resident who shot Kersey "was justifiably in fear for his safety and the safety of his parents." He cited self-defense laws and Kentucky's "castle doctrine" law. "This wasn't a close call; it was clearly justified," Sanders said. Police asked anyone with information about the other suspects to call Detective Austin Ross at 859-292-2263, Kenton County Dispatch at 859-356-3191 or Crime Stoppers at 513-352-3040. "Someone knows who these men are," Police Chief Rob Nader said. "Someone knows how they fled from the scene. Someone knows where they went to hide out, and we need that someone to come forward with the information so there is accountability for this crime."